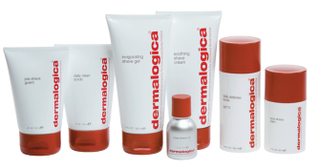 No one knows healthy skin better than Dermalogica - and were about to make your shaving problems history! Experience your healthiest skin ever with Dermalogica Shaves simple, 3-step regimen. Perfect for home, gym, or anywhere you need to go. Airline approved sizes make for low-maintenance travel. Products contain no artificial fragrances or colors.